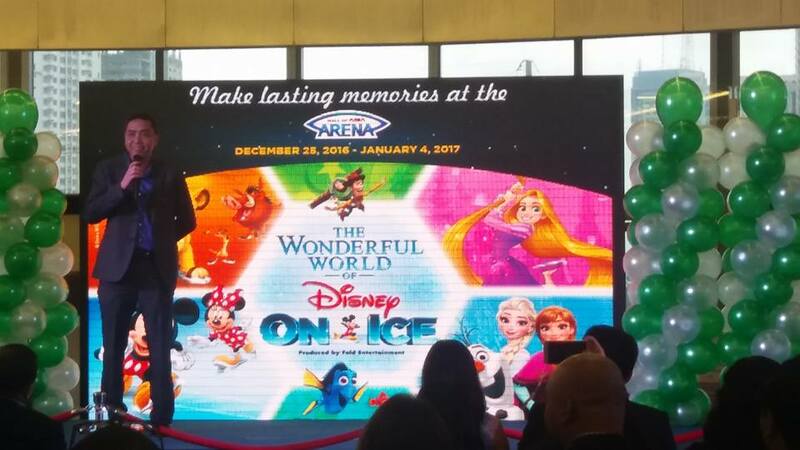 Disney on Ice will no longer be held at Araneta Coliseum this year. Disney on Ice debuts on new stage at Mall of Asia Arena , where a holistic family experience awaits patrons with new SM – Feld Entertainment Inc. partnership. 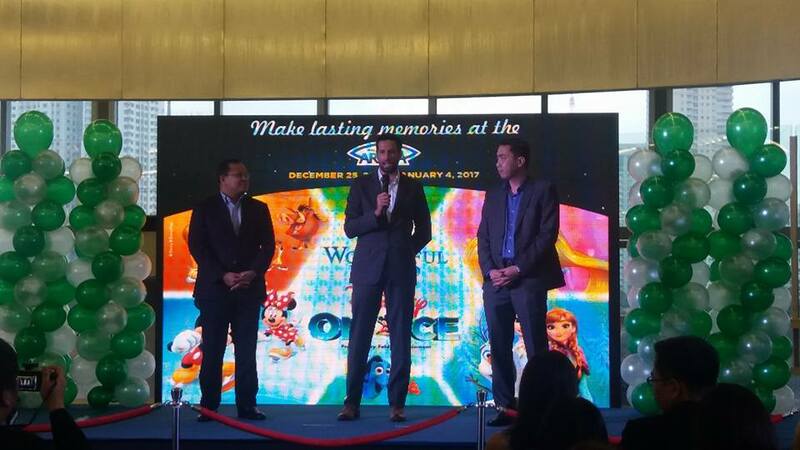 Take your kids on a colorful journey with their favorite Disney characters as SM celebrates the coming of Disney On Ice on December 25, 2016 to January 4, 2017. Guests of all ages will enjoy the show’s brand new stories coupled with our favorite Disney classics. Audiences will dive deep into the East Australian Current with everyone’s favorite school of fish from Disney•Pixar’s Finding Dory when Dory, Nemo and Marlin set off on an adventure to discover the true meaning of family. Reach for your dreams with Rapunzel, as her determination illuminates her inner strength. Anna, Elsa and the hilarious snowman Olaf from Disney’s Frozen show how powerful the love between sisters can be. Experience the beauty of Walt Disney’s first animated feature film, as Snow White creates her own happily ever after with the help of seven new friends. Buzz and Woody will have you jumping out of your seat in a foot-stomping hoedown; Simba, Timon and Pumbaa prowl the Pride Lands of Africa; Jasmine, Aladdin and Genie show how friendship is fearless; and your favorite Disney Princesses take to the ice to showcase the courage and determination that led them to achieve their dreams. Disney favorites Mickey Mouse, Minnie Mouse, Donald Duck and Goofy walk down memory lane and reawaken Disney moments that span generations. The Mall of Asia Arena provides a location where families will have access to new amenities such as enhanced seating options, convenient parking and, within close proximity, patrons have access to dining and shopping. 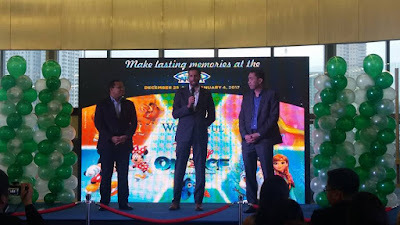 “We invite families to create lasting memories together through our newest venture, Disney on Ice.” says Edgar Tejerero, President of SM Lifestyle Entertainment Incorporated. “Promising a complete entertainment experience, families can easily extend the fun from this spectacular show to the different lifestyle and entertainment hubs that SM has for them—giving families endless ways to celebrate each moment together this Christmas season.” “We are very excited to be partnering with MOA to present The Wonderful World of Disney On Ice,” said Robert McHugh, Sr. Vice President of International Sales and Business Operations for Feld Entertainment Inc.
“Having had the opportunity to feature previous Feld Entertainment shows at this venue, we feel that we can provide an enhanced entertainment experience to the people of the Philippines, which is always our first priority when we consider the venue for our productions.” End the year by creating lasting moments for you and your family. 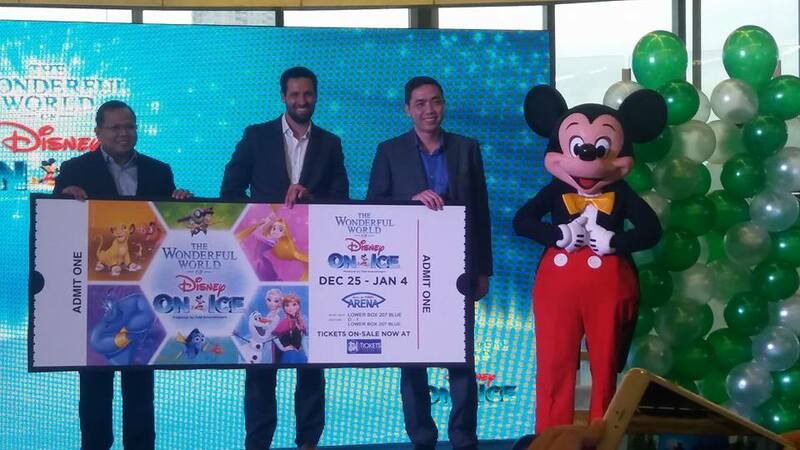 Catch the Wonderful World of Disney on Ice this coming December 25, 2016 to January 4, 2017 at the Mall of Asia Arena! Tickets are available at www.smtickets.com or in SM cinema ticket booths nationwide. Watch out for more of SM’s exciting activities leading up to the big season by following @smtickets and on Facebook (www.facebook.com/smtickets).